What happened then, happens now, to you. Is it a novel? A monograph? A speech? 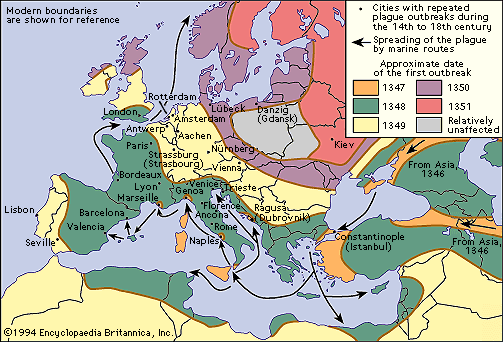 • The plague occurred for the first time in Europe between 1346-1351. • During those years 30-60% of the population died. It took 150 years for Europe to regain that population. 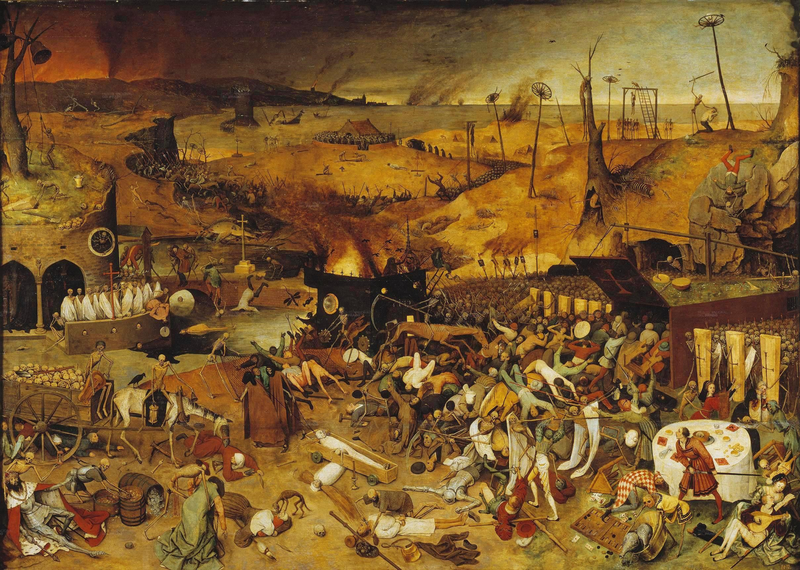 • The plague returned every 5-10 years or so, although with less severity. • A mini-ice-age began in mid-14th century Europe causing smaller crops and consequent famine adding to the susceptibility and weakness of the population. • Massive de-population meant opportunities for some, particularly rural peasants as land became available and wages increased. • The disruption caused many to question the political and religious establishment leading to uprisings and riots. • Riots were sometimes directed at local populations of Jews, thousands were killed as scapegoats for the plague. • The concentration of wealth in the cities left the rich with greater power which was one of the causes of capitalism.